From sore muscles and headaches, to feeling lethargic and breathless, the pain of loss is a whole person event. If your body doesn’t feel good, it is even harder to cope with emotional pain. Try these relaxation techniques. Human beings are thinking animals. But we can’t think our way out of grief. If you feel like your thinking mind is on overdrive, these simple focusing techniques can bring you relief and even turn your stress switch to off. The emotional overload that comes with grief can make us feel stuck. Once you learn how to skillfully pay attention to your emotions, you may be surprised by the relief it can bring. Try these practices to reduce emotional stress. Grief impacts the community of people who knew the person that died. It is normal for irritation, frustration, and even anger to arise, as everyone is in pain. Learn how to build compassion – for yourself and for others. 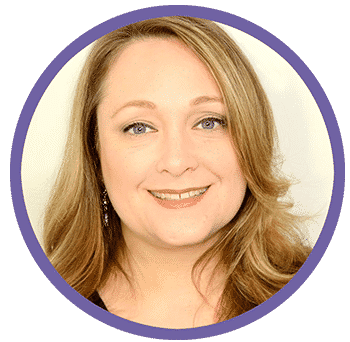 Heather is the author of Mindfulness & Grief, released in its second edition in 2018, and is the host of the Mindfulness & Grief Podcast. She has a Master’s Degree in Thanatology (death, dying and bereavement) and is a certified yoga therapist and meditation instructor. She spent seven years working on a suicide prevention hotline in honor of her uncle, who died by suicide. 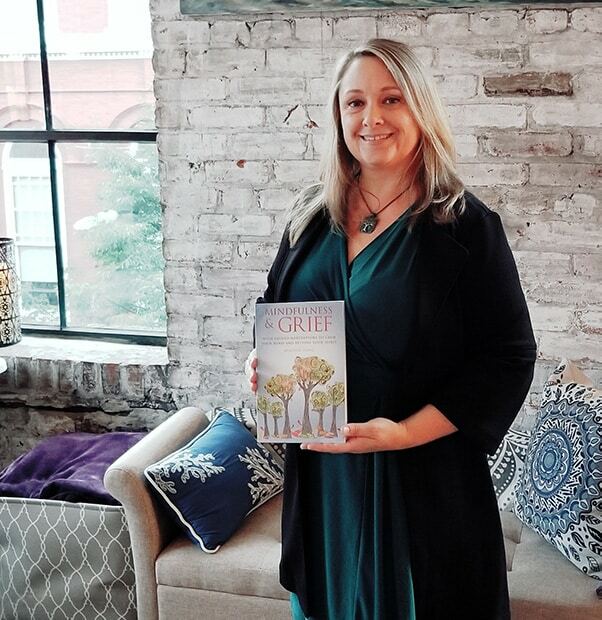 This journey of love, loss and posttraumatic growth fuels her passion for teaching bereaved families and grief professionals how to use mindfulness-based techniques to cope with grief, cultivate resilience, and prevent burnout. Heather is on the Advisory Board for the highly regarded military family survivor organization Tragedy Assistance Program for Survivors (TAPS), has appeared on the award winning television show about grief, Open to Hope, and has facilitated grief workshops & keynotes for a number of education and non-profit organizations. In addition to her own publications, Heather has contributed to Techniques of Grief Therapy: Assessment & Intervention, edited by Dr. Robert A. Neimeyer. Heather lives in Maryland, where she is the founder of the Frederick Meditation Center in Maryland, and volunteers with the Hospice of Washington County and the Hospice of Frederick County. Coping with grief may seem like an impossible task. Few words bring comfort, and there is no quick fix for a broken heart. In addition to overwhelming sadness, we often feel vulnerable, disoriented, and maybe even beaten down. You may feel like you have little energy to invest in coping with the pain of loss, and wonder how you would even go about this in the first place. This site is here to help. To begin, there is no right or wrong way to cope with grief—as long as you are not causing yourself harm. It is a natural process that all of us experience in our own way. The 5 Stages of grief have long been disproved, and time is not what heals grief. It is, in fact, what you do with your time that matters. The mindfulness-based exercises for grief that you find on this site will help you make wise use of that time. It does not matter if you are new to mindfulness - in fact many people discover mindfulness-based practices during difficult times. Mindfulness for grief is not about whitewashing your pain, or "getting over" your loss. It is about learning how to stay present, cultivate compassion, and make wise choices that will help you cope with this new normal known as life after loss.